Do I really have a 10 year old. Holy Cow we are celebrating it with an all out Jam Session. Including Karoake, Thrift Shoppin, Jam Session, Paparazzi you name it we are gonna try to be RockStars. 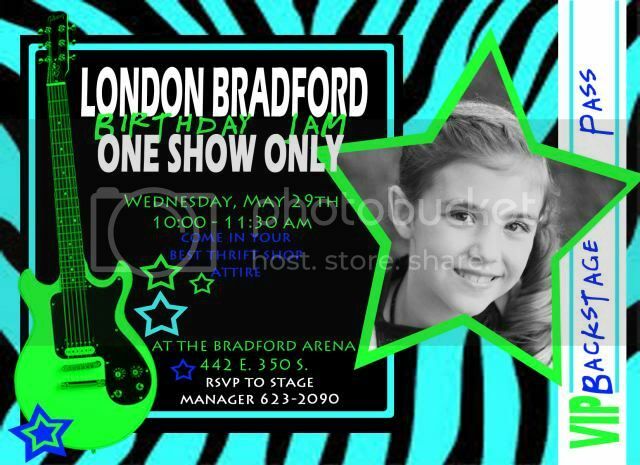 London had hands on when designing this time as you can tell all her favs on here Zebra print lime green and blue. She is definately my rockstar!!!! !